In today’s poetry news round-up we look at the winner of this year’s Anisfield-Wolf Book Award, the Google doodle dedicated to Maya Angelou and the widow of Liu Xiabo who is still under house arrest. Established in 1935 by the poet Edith Anisfield Wolf the Anisfield-Wolf Book Awards are awarded each year by Ohio based community foundation the Cleveland Foundation. The awards honour books that address the issues of racism and diversity. 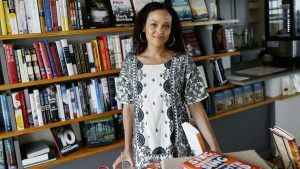 The winners this year are Jesmyn Ward – Fiction award, Kevin Young – nonfiction award, N. Scott Momaday and Shane McCrae – poetry award, each winner will receive a prize of $10,000. McCrae won for his collection of verse “In the Language of My Captor”, which explores the themes of captivity and freedom. The collection has previously been awarded the 2017 Lannan Literary Award for Poetry. Judges of this year’s award included Joyce Carol Oates, Steven Pinker and Rita Dove. On the occasion of her 90th anniversary of birth, Google Doodle has honoured Dr Maya Angelou. 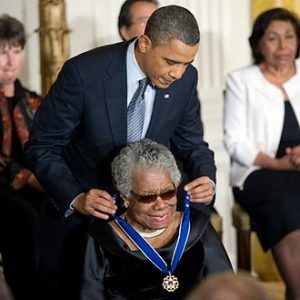 In a career that spanned over 50 years, Angelou was a poet, memoirist, activist for civil rights and singer. She received over 50 honorary degrees and published seven autobiographies, 3 essay books, and a number of poetry books. which was the primary instalment in a collection of autobiographies that she wrote. a title she was awarded in 1982. She also worked alongside Martin Luther King Jr as part of the movement for civil rights. Easter Sunday marked the 57th birthday of Liu Xia, the widow of Liu Xiabo the Chinese Nobel Peace Laureate and poet who passed away late last year. She has been under house arrest since 2010 yet has never been charged of any crime. Her birthday once again prompted her friends and family to repeat their demands to the Chinese authorities that she be released. 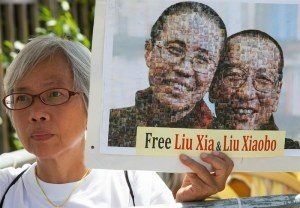 Liu Xia, who is also a poet was placed under house arrest in the same year that her husband received the Nobel Prize, and a year after he was sentenced to an 11-year jail term for subverting state power. Liu Xia was last seen in public on the occasion of her husband’s funeral, she was then immediately taken first to the southern Yunnan province and then Beijing. She is not allowed to communicate with anyone.